Go back to the first day of your freshman year of college. Remember going through the processes of registration, waiting in the long lines to get your room assignments and the packets full of “helpful” information that they give you? Then you needed to wait on a cart so you can start moving your things to your dorm room. Remember how irritating it was? Imagine not having to do that anymore. This time you just have to wait in one line; the one where you pick up your iPhone. That’s what incoming freshman at Abilene Christian University will be doing starting fall 2008. 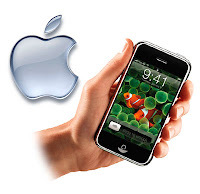 The iPhones will offer 15 custom applications for the university and its freshman to have a better medium between them. Some of these applications allow for course registration, lesson texts, emergency alerts, surveys and campus maps. How much more convenient would your first day of school have been had you known all you needed to pick up was an i.d. and an iPhone? Abilene Christian, located in Texas, is the first college or university to provide the smart phone learning environment to its students, but it probably won’t be the last. The idea to do so came from the 2008 Horizon Report, which does an annual review of emerging technologies and ideas in education. I think this is the dopest idea to ever happen to education, and some of these bigger schools need to catch up. I have a feeling Abilene Christian is about to get a lot more applications than they’re used to. To read the 2008 Horizon report and see what other budding ideas may appear in the classroom, click here.